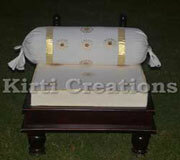 This wonderfully crafted Wonderful Royal Seating is a symbol of comfort and elegance. 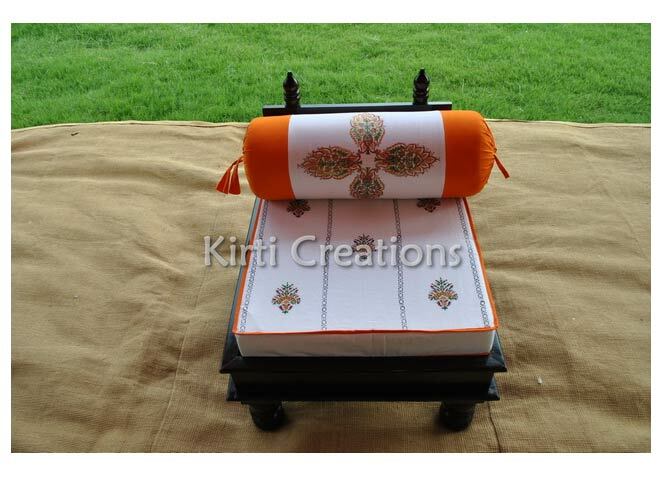 A beautiful orange colored cushion nicely placed on it provides immense comfort when placed within the tents. 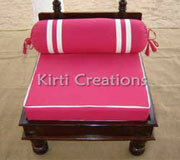 This Magnificent Royal Seating is a unique piece of traditional craftwork that is well crafted in a classical style. 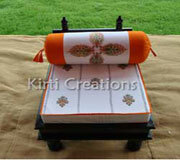 There is an enticing pattern of beautiful floral designs on the its bed that adds an antique look to the whole design. This Impressive Royal Seating with its glazing furniture gives an immense relaxation under the tent. Elegant wood finishing on its whole body adds a royal look to it. 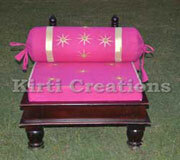 This Splendid Royal Seating is incredibly a creation of elegance. From its intricately designed pillars to its bed, there is a sign of perfection everywhere. With an impressive artwork, the combination of white and pink color is magnificently matched. 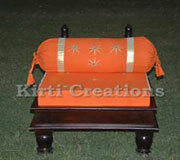 The whole design of this attractive Designer Royal Seating flaunts a stunning look. Its furniture is given an antique design by traditionally crafting on wood. 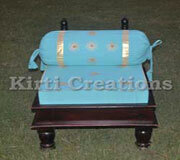 The blue colored cushion lying on the furniture looks very attractive with its glazing golden bands. A unique blend of royal artistry is seen in this aesthetically designed Artistic Royal Seating. 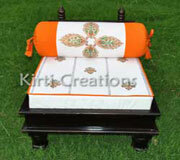 Metallic colored floral patterns on the bright orange colored pillow makes the whole bed fascinating. 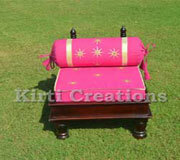 None other than this elegantly crafted Imperial Royal Seating can leave such an imperial impression as it does. Its presence in the tent interiors makes the whole ambience attractive with its glazing wood and rose colored bed. 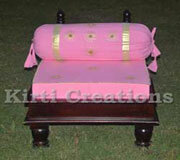 This Magestic Royal Seating can put anyone to those royal periods when royalty was a symbol of elegance. 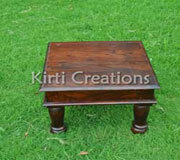 The whole piece of furniture work is always the integral part of the overall beauty of surroundings.